Salmon fishing in the Baltic Sea. 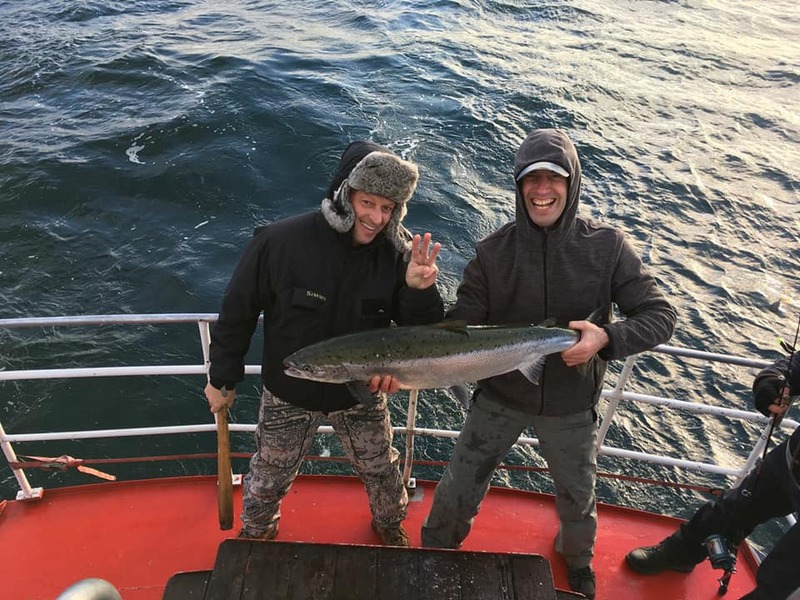 Salmon fishing from a large ship – comfort and unique experiences !!! Salmon dragging is carried out in the Baltic Sea by the ship “BRIZO” (length of the ship is 15 m). Ship is warm, comfortable, with plenty of space inside, there are 11 sleeping places, a toilet, coffee / tea. Ship “Brizo” is available even under extremely extreme weather conditions. Greater waves, frozen Curonian Lagoon, high temperatures are not an obstacle. Fishing equipment for catching salmon, at no additional cost, we take care of. One to twelve fishermen can go fishing at sea. Fishing tour lasts 8-9 hours.